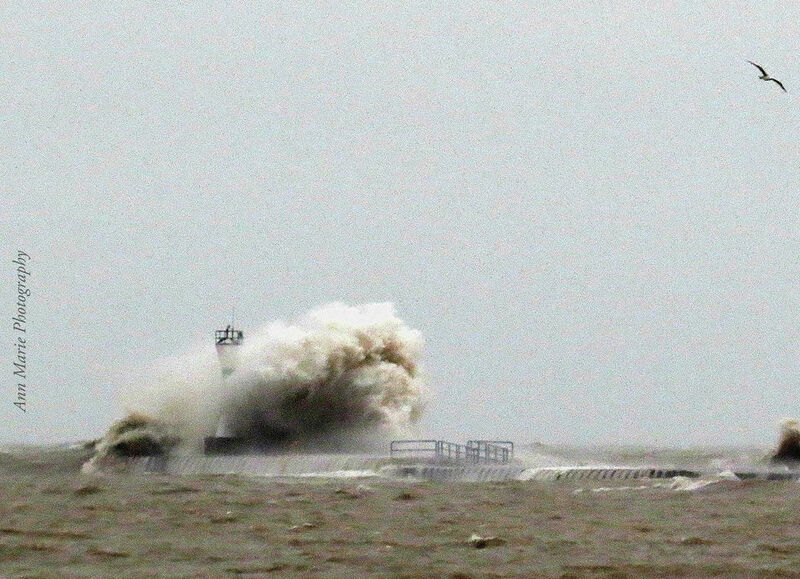 The South Pier Light Navigational Beacon, which has stood in some form near the entrance to Wisconsin’s Manitowoc Harbor by the Manitowoc Breakwater Lighthouse for decades, fell into Lake Michigan around 8:30 a.m. after its 20-foot-tall fiberglass tower was hit by waves and strong winds, the U.S. Coast Guard said. The National Weather Service has issued a gale warning for Lake Michigan that remains in effect. Twelve to 15-foot waves and wind gusts up to 50 mph were expected in the area where the lighthouse was located. All that remains of the structure is the concrete base, according to local news reports. Authorities don’t know where the tower went, the Associated Press reported. The Coast Guard will search for the beacon and will arrange for another beacon for the pier because it is needed for navigation on Lake Michigan.